Pop quiz: Where do you want to be in 8 weeks, and what's your plan to get there? If you can't answer that, you need a refresher course in strength training programming. There's no doubt that getting fit and strong requires a lot of hard work, but work is only part of the equation. A goal without a plan, as one famous writer put it, is just a wish. To put this in gym terms, if you just throw some weights around and copy what you see other people doing, you won't get results. The movements you choose in the weight room become your biggest fitness investment, after your gym fees. Think of them as exactly that: an investment. Each movement represents a value in time you spend in the gym—and not doing something else—make sure your time is spent on something worthwhile. Much of the reason that strength training can be intimidating is that there is so much information. Some of it is straight-up misinformation; a lot is OK information that is geared toward someone with different goals and priorities than you. Where should you begin? What should and shouldn't you be doing? No matter what results you have in mind, you need to find your answers to these questions. To maximize your training, you need a program—and no, your body-part split isn't a program. A program is a structured plan that will strategically and purposefully help you reach your goals, leaving you on a different level than when you started. Even experienced lifters can benefit from having a better program. Programming is a must for relative novices looking to get serious and experience their first strength breakthroughs. Is this news to you? If so, get ready for a course in the fundamentals of strength training programming. I'm going to break down the major components of a lifting program and explain how they correlate with specific goals, so you can choose the program that works for you—not for someone else. I offer a simple yet effective 8-week program that helps you to build a foundation of muscular strength that can help you get closer to your strength and fitness goals, no matter what they are. Try it if your gym time has been haphazard up to this point, or if you feel like you've gotten away from the fundamentals and need a whole-body refresher course. As a general rule there are three categories that all lifts will fit into: primary, assistance, and auxiliary. Where certain exercises fit in these categories differs based what type of activity you train for, but the principles behind them are fairly universal. 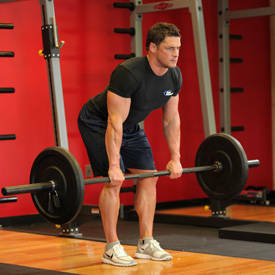 Primary exercises are always multijoint, compound lifts, and they are usually done with a barbell. These are the classic lifts many people use as a measure of strength, and are the focus of many competitive events. These are so important because they recruit the maximum number of muscle fibers and allow you to lift the most weight possible. Those are major requirements if your goal is to build strength and muscle. Assistance exercises are usually still compound movements, often involving dumbbells, bodyweight, or other variations on the classic lifts. 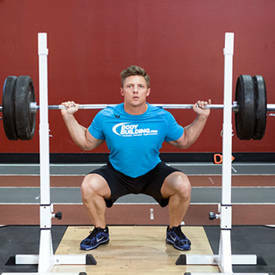 Assistance exercises help build muscle and have functional importance in sports, but they're titled "assistance" because they also contribute gains in strength on the primary lifts. You can go heavy on these exercises, but chances are you won't out-lift the weight you lift for a primary counterpart. 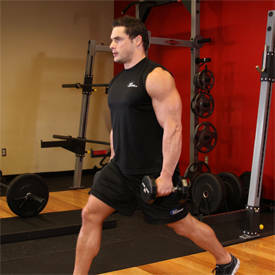 Auxiliary exercises are isolation movements that are best for getting a pump and bringing weaker body parts up to speed. These movements are fun to do, but probably won't compromise your results if you can't fit them into your schedule. Check out the chart below for a list of examples of each category of movement. Know the difference between the movement categories. This is vital. Exercises you choose to do, when you do them, and what kind of rep/set scheme you use are critical factors in your success or failure. Primary movements deserve priority. This should always be the case. Assistance movements will probably take up the most time, but their purpose is to build the strength to feed the primary move. Assistance movements will probably take up the most time, but their purpose is to build the strength to feed the primary move. For example, if your primary movement is the bench press, your assistance work should target your chest, shoulders, and back, all of which will help you to be a stronger, healthier bencher. 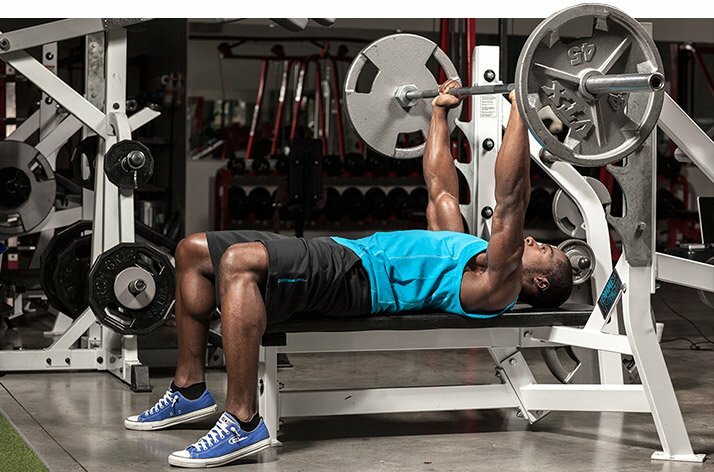 Once you understand the logic behind exercise selection, you can tackle the next important element of a successful program: picking the appropriate amount of reps. How you set your rep range is crucial to the type of training result you will get; using the wrong rep range will lead to poor results. The most popular rep range in most gyms is 8-12 reps. This range is perfectly acceptable to use, but it's not right for every goal, and certainly not a permanent choice. "But what about the amount of weight?" you ask. Let's get clear before we go any further: Your rep range should dictate the amount of weight you lift. In other words, make sure you lift the most weight you can for your chosen rep range while getting good clean reps without assistance. No forced reps—where your training partner helps you with a load you can't handle—are allowed here. If you do sets of 8 reps, you should use more weight than you would on sets of 10. With that out of the way, let's move on to the important stuff. Your primary goal directly affects what rep range you should use. 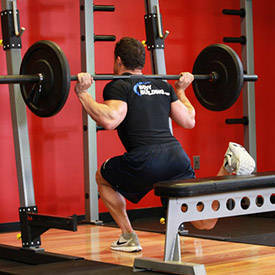 If building up your maximum strength is the goal, your training should focus on lower reps, typically between 1 and 5. Low-rep sets allow you to use a much heavier weight than higher-rep sets. This leads to increased muscle fiber recruitment and neuromuscular efficiency. It also conditions your muscles, joints and connective tissue to using heavier weights. Your rep range should dictate the amount of weight you lift. If hypertrophy (muscle growth) is your goal, you have a couple of options. It is widely accepted that there are two kinds of muscle hypertrophy: myofibrillar and sarcoplasmic. Stay with me, I promise this won't turn into a biology lesson. Myofibrillar muscle growth is also commonly called functional hypertrophy. This is accomplished by using a moderate rep range—i.e., 6-8 reps—and fairly heavy weights. This range still impacts strength, but also leads to the growth of new muscle fibers. More fibers equal a bigger and stronger muscle, hence functional. Sarcoplasmic growth is accomplished with higher rep ranges, around 8-15 reps, and is primarily caused by an increase in the fluid, known as sarcoplasm, in the muscle. This is more common in bodybuilder-style training than strength-focused training. The two types of hypertrophy don't occur independently of one another, but as a general rule, sarcoplasmic growth is believed to translate less to strength gains. Depending on your goals, you might want to focus more on one type of rep range than the others, but you should never totally neglect any specific range. In the program I offer below, you will combine hypertrophy and strength protocols so you can be both bigger and stronger at the end of eight weeks. There is an inverse relationship between reps and sets. 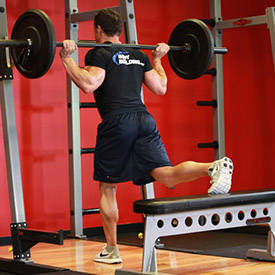 The fewer reps you do, the more sets of the exercise you will need to do in order to trigger growth within your body. For maximum strength training, your total exercise volume (rep/set amount) should be no less than 10 reps (unless you're doing a 1RM) but probably not higher than 20. So if you do sets of 3 reps, you should do at least 4-7 sets in order to build muscle. For hypertrophy, you should shoot for at least 24, and possibly as high as 40 or more. Since you will do more reps per set, you won't need as many sets this way. Now that you have a good understanding of the major variables, you are ready to start building your program. Most lifters—regardless of their levels, but especially novices and intermediate-level-benefit from planning their training a month in advance. This includes fluctuations in both volume and rotations between exercises. 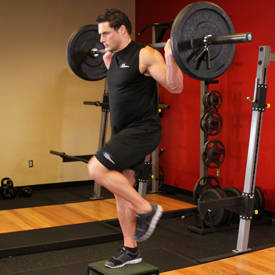 This Foundations Of Strength Program utilizes a tried-and-true method known as linear cycling. 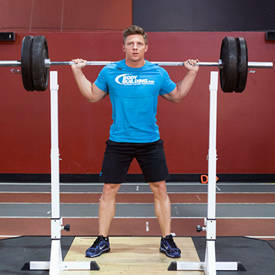 This is a method that some of the strongest lifters in history have used, such as Ed Coan, Kirk Karwoski and Bill Kazmaier. Linear cycling is simple: Start off using lighter weights for more reps, and each week or two, add a little weight and do fewer reps. 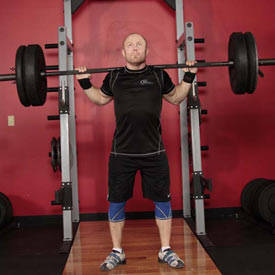 It is an easy-to-follow, effective method for lifters of all levels. Linear cycling method: Begin using lighter weights for more reps; each week or two, add weight and do fewer reps.
Over the course of 8 weeks, the primary lifts will encounter the greatest change in rep range. Assistance work changes, but not as much. The first four weeks feature a greater volume and a focus on hypertrophy. This is called "accumulation," since you are accumulating volume. The second four weeks bring in heavier weights and focus more on strength. 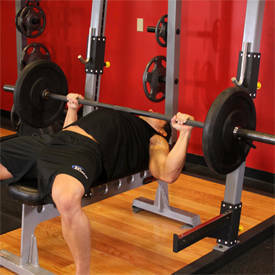 This is called "intensification," since the intensity (percentage of your 1-rep max) you use increases during this time. This program utilizes all the foundational rules I outlined above. 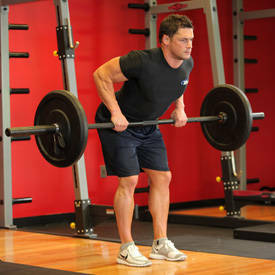 You focus on building proficiency at compound movements, and priority is given to the classic barbell lifts. The primary lifts are programmed in a linear fashion, getting heavier every week and ultimately ending with a test of a 2-rep max. I chose a 2-rep max rather than the 1-rep max because performing 2 reps will give you a more practical idea of your strength. For most non-competitive gym-goers, a 1-rep max ends up turning into an ugly, bastardized version of the lift it's supposed to be. In addition, testing a 1-rep max is taxing on your body and nervous system. A 2RM is still taxing, but not as heavily.